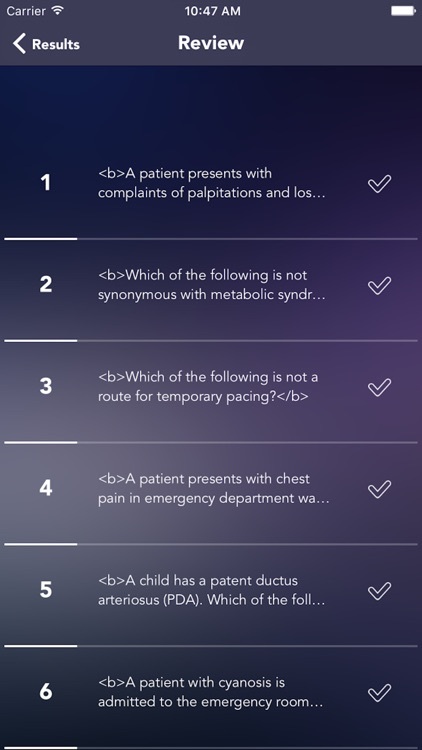 CMC® subspecialty certification Test Prep is to help you prepare the CMC® subspecialty certification anywhere, anytime right on your mobile device. (CMC® subspecialty certification was introduced in 2005 for specialty certified nurses providing care to acutely/critically ill adult cardiac patients.) 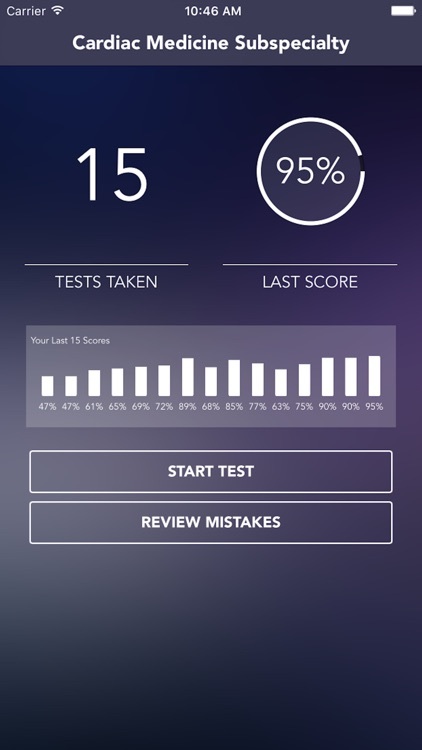 With the most elegant and clean UI, we offers the best user experience in its class - you will enjoy every minute you spent on your study. 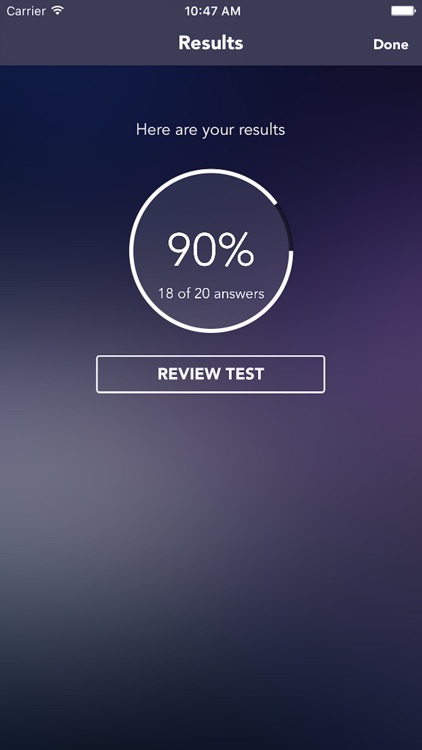 You set your own pace and always can learn something immediately to get yourself better prepared for the test. CMC® subspecialty certification was introduced in 2005 for specialty certified nurses providing care to acutely/critically ill adult cardiac patients. Nurses interested in this certification may work in such areas as: cardiac care units; combined ICU-CCUs; medical ICUs; telemetry units; progressive care units; heart failure clinics; home care; interventional cardiology; cardiac catheterization labs; or electrophysiology units. 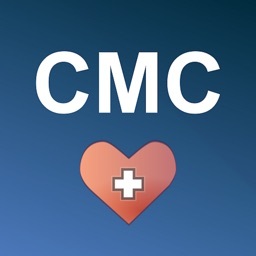 CMC is a registered service mark of AACN Certification Corporation and denotes certification in cardiac medicine nursing as granted by AACN Certification Corporation. 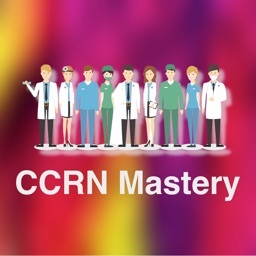 Registered nurses who have not achieved CMC certification, whose CMC has lapsed or whose clinical nursing specialty certification has lapsed or is inactive are not authorized to use the CMC credential. Each CMC certification exam is based on a study of practice, also known as a job analysis. The most recent study, completed in 2010, defines the dimensions of acute/critical care practice, identifying what is required of registered nurses practicing in acute/critical care settings and caring for cardiac patients. 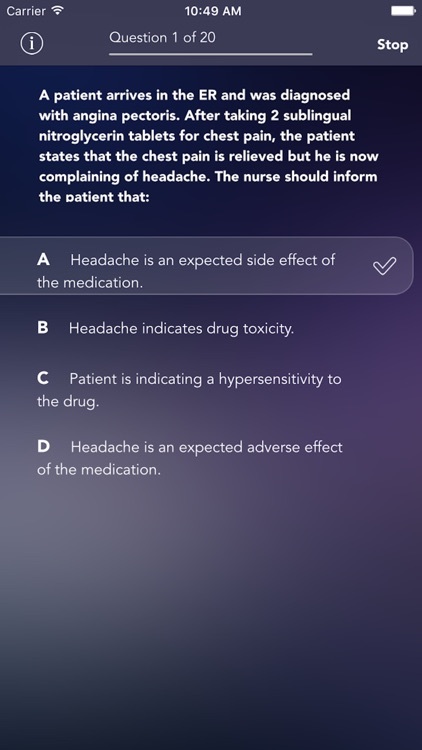 In the study, acute/critical care nurses across the United States were surveyed to ascertain the significance of the various elements of their practice. 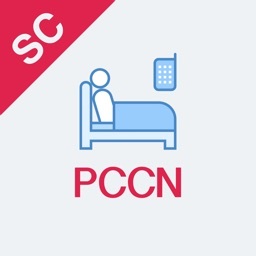 Through an extensive review and evaluation process, the knowledge, skills and abilities crucial to cardiac nursing were defined using the AACN Synergy Model for Patient Care as an organizing framework focusing on the clinical judgment component exclusively. The CMC certification exam is based on these skills and abilities and the knowledge required to perform them. 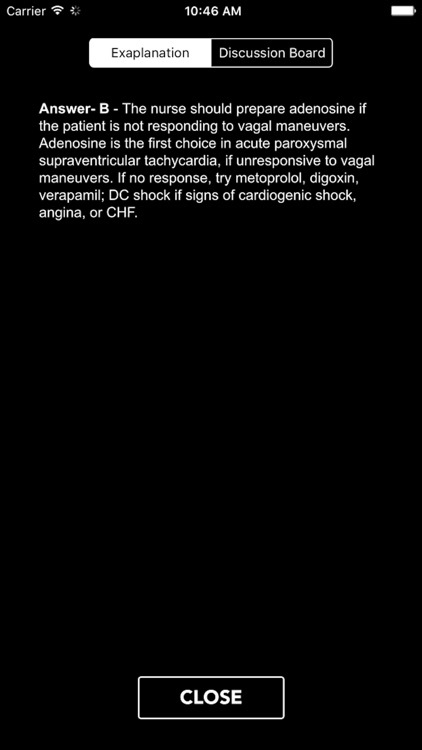 CMC certification is achieved by those acute/critical care nurses who pass a CMC exam in cardiac medicine. CMC certification denotes to the public those practitioners who possess a distinct and clearly defined body of knowledge called cardiac nursing.